As the housing market increases in price, many buyers are choosing to live in multigenerational homes. 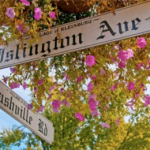 Baby boomers caring for aging parents, younger generations living with able-bodied parents to pool finances, or even empty-nesters welcoming back their adult children and their grandchildren, are becoming the norm. 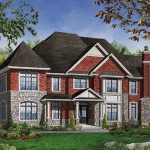 In-law suites are a popular solution to multigenerational families seeking privacy and independence under one roof. Not only do they create a ‘space of one’s own’, but they also add to your resale value! Here are some tips to consider when creating your in-law suite. Creating private space for each generation is important. Equally important is creating a comfortable common gathering area for the entire family. Consider this when choosing the location and layout of your in-law suite. Finishing the basement as the in-law suite creates extra seclusion and often offers enough space for a separate kitchenette. Soundproofing (particularly ceilings, when refinishing the basement) is paramount in creating the perfect in-law suite. Privacy is increased when sounds are segregated, and disruptions of individual routines are minimized. The secret to multigenerational living is the layout. Each generation should feel they have their own space, separate from the main living areas. 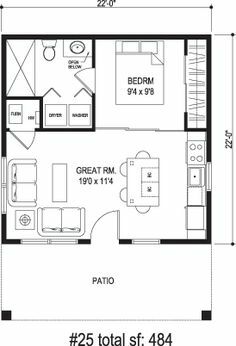 The layout should provide all the amenities of a regular dwelling, on a smaller scale. Creating an in-law suite with its own kitchen and living areas allows for the private life of the in-laws in multigenerational homes. Where space prohibits this, creating a larger bedroom with a small seating area will allow residents to privately entertain guests. Adequate storage is important! Combining homes can mean having to downsize. An in-law suite with plenty of storage and/or a walk-in closet can make room for personal belongings and items of sentiment, adding function to form. Consider the future! 36” door frames may be more costly initially, but altering them down the road will be a pricey renovation. Wider door frames allow for easier accessibility, should the residents have mobility aids. Considering this during the design phase will save you time, energy and money in the long run. When creating entrances, consider the possibility of future-need for stair lifts, or install an elevator. 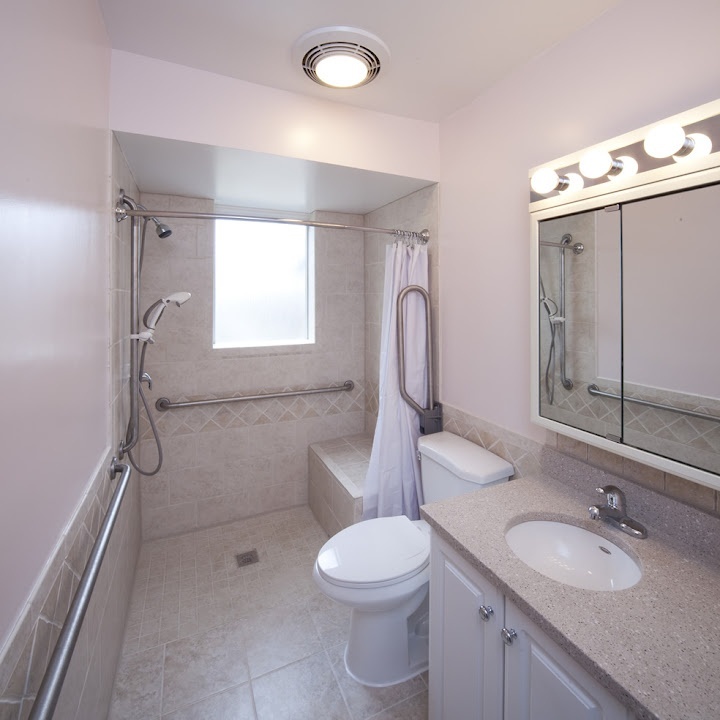 In the bathroom, add extra space around the toilet and a no-threshold shower, for easiest accessibility. Installing backing materials in the walls allows for future installation of grab bars over the toilet or in the shower. Don’t Over-Customize! Resale potential is important when adding liveable space to your home. Make sure you leave the space open for a change in use. 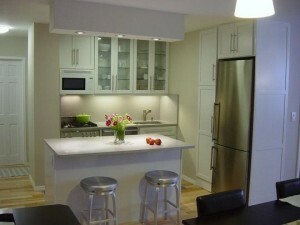 In-law suites have great promise for reuse as rental units or even guest suites. Over-customizing can make future transitions harder, and blind buyers to the space’s flexibility. Make sure to check moisture levels when creating a basement suite. Take the necessary steps to remove excess moisture and make the area liveable. Mould-resistant finishings, sump pumps (and back up sump pumps). dehumidifiers and perimeter drains are all great ways to keep condensation to a minimum and protect your new space. Make sure you create access and egress. Two points of entry/exit can be difficult to fit into a basement unit. An entrance (presumably via the stairs to the main level) and a separate exit point is required to make your suite meet fire codes. 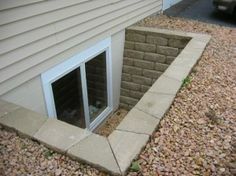 Creating egress in a basement can be achieved either by building a walk-up exit/entrance to the outside of the house, or by a window that is large enough to crawl out of. In using a window, be sure to furnish accordingly to make it easily accessible. Make sure to properly insulate your basement in order to keep the space warm and cozy! Save space where you can. Under-counter appliances that are apartment-scale will help make a smaller kitchenette fully functional. Built-in storage can provide extra storage and a functioning pantry. A walk-in closet is ideal, but built-ins in the bedroom, including the use of a Captain’s bed, can really increase the function of the space. Be sure to use the natural light to your advantage, and include plenty of ambient lighting to keep basement spaces feeling warm and cheery. 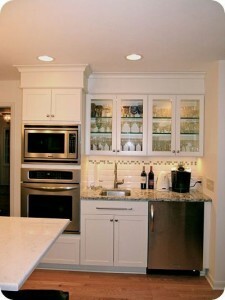 Accent lighting can allow your in-laws to customize the brightness of their rooms. Don’t forget to keep main colours light and airy to maximize natural light. Use reflective surfaces in the kitchen and bathroom to brighten the unit. Bold textured and coloured accessories or accents will add warmth and interest to your decor. As more and more families begin to live in multigenerational homes, buyers will be adding in-law suites to their wish-lists! Creating a home within your home will boost value, and offer your family the privacy and space they need.